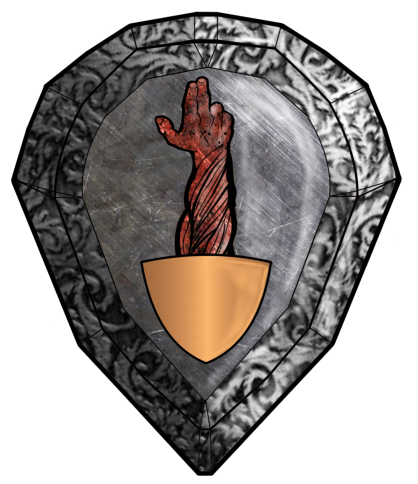 This medium iron shield has the arm of Darksong attached to it. It was made for Indaris by Azariel to celebrate Indaris achieving epic level status. Does 1D4x10 damage to Minions of Taut as bashing attack. Additional +5 to parry any minions of Taut serving Taut. The above includes protectors of Cynopolis. Parries arrows with no negatives!